Challenging transcriptions approved by Rudess. 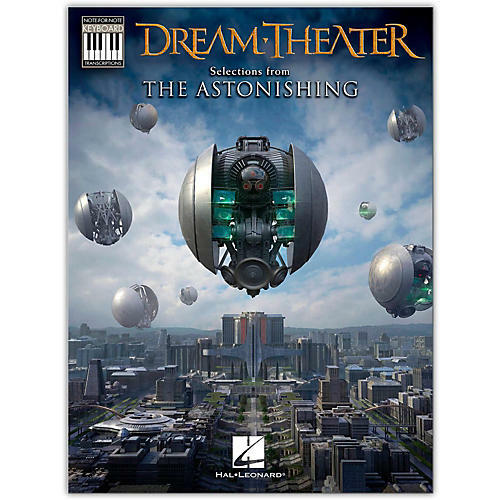 14 exact transcriptions of the keyboard parts from the 2016 album release by Dream Theater approved by Jordan Rudess himself. Includes: Dystopian Overture • The Gift of Music • Heaven's Cove • A Life Left Behind • Lord Nafaryus • Moment of Betrayal • My Last Farewell • A New Beginning • The Path That Divides • Ravenskill • A Tempting Offer • Three Days • The Walking Shadow • When Your Time Has Come.